Saint Paul was originally Saul of Tarsus, born in that city of Cilicia of Jewish parents, two or three years after the Saviour was born in Bethlehem of Judea. He studied in Jerusalem at the feet of the famous teacher Gamaliel, who later would be converted and listed among the Saints. While still a young man, Saul was present to oversee, as commanding officer, the stoning of the proto-martyr Stephen. In his restless zeal he pressed on to Damascus, breathing threats and slaughter against the disciples of Christ,intending to drag them from their houses and imprison them. But on the road a light from heaven struck him to the earth. He heard a voice which said, Saul, Saul, why do you persecute Me? It is hard for you to kick against the goad. He asked who was speaking, and astonished on hearing His Name, inquired what Jesus wanted of him. And then, struck blind, for three days he saw nothing more. But he had been told what to do. He was led by the hand to Damascus, where he remained in the house of a Christian until, three days later, he rose for his baptism by a Christian leader of that city. Then he saw the light of day again, and the brilliance of the full truth for the first time, as another man, a new creature in Jesus Christ. He left Damascus for a long retreat in Arabia, before he set out at the call of God, and carried the Gospel to the uttermost limits of the known western world, for years living and laboring with no thought but that of Christ crucified, no desire but to dispense himself for Him. He became the Apostle to the Gentiles, whom he had been taught to hate. But he would gladly have been anathema if he could thereby have saved his own countrymen from condemnation, though they sought his life. Perils by land and sea could not dampen his courage, nor sufferings and age dull the tenderness of his heart. When finally he knew that his hour had come to be dissolved and to be with Christ, as he had long desired, he wrote during his second imprisonment to his spiritual son Timothy, that he had fought the good fight, finished his course, kept the faith”, and that there remained for him to receive the crown of justice which His Lord was preparing for him on the final day. With Saint Peter in his final year he consecrated Rome, the new holy city, by his martyrdom. Saint Paul has left to the Church fourteen Epistles, which have been a fountainhead of doctrine, elucidating the most basic truths taught by Christ, and constituting the consolation and delight of her greatest Saints. His interior life, insofar as words can express it, lies open before us in these divine writings; it is the life of one who has died forever to himself, and risen again in Christ Jesus. Saint John Chrysostom, his imitator, wrote: The heart of Paul is the Heart of Christ! Nor will his labor cease while the race of man continues. 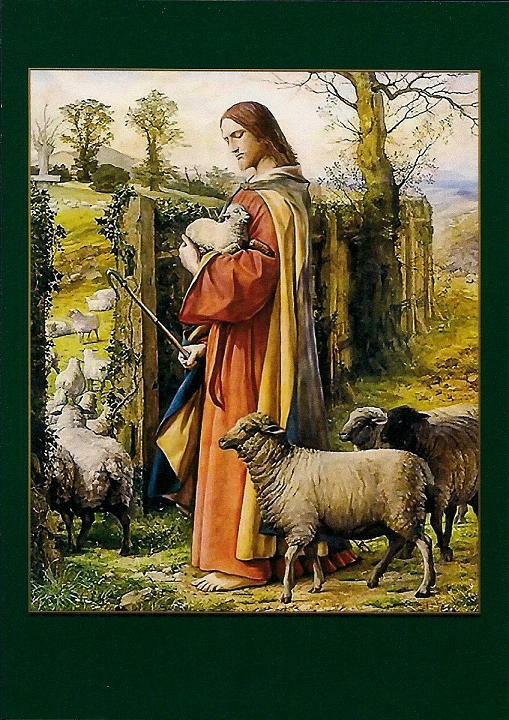 Even now, like a chivalrous knight, he stands alive in our midst, and captivates each of his readers to the obedience of Christ. “As Jesus got into a boat, his disciples followed him. Suddenly a violent storm came up on the sea, so that the boat was being swamped by waves; but he was asleep. Then he got up, rebuked the winds and the sea, and there was great calm. 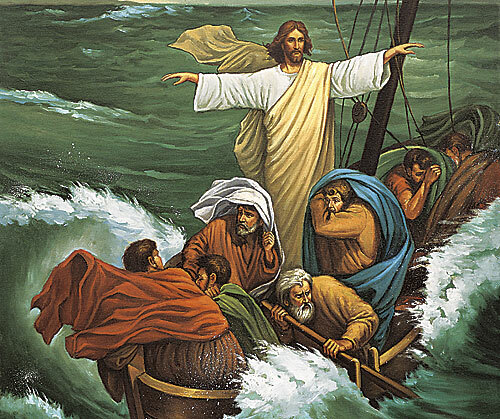 The men were amazed and said, “What sort of man is this, whom even the winds and the sea obey?”” -Matthew 8:23-27. The image of Our Lady of Perpetual Help measures around 50 centimeters (25 inches) high. It is in the Byzantine style, painted on wood with a gold leaf background. The Virgin is there with Her divine Child; each of them has a golden halo. Two Angels, one on the right and the other on the left, present the instruments of the Passion to the Child Jesus who is frightened, whereas the Blessed Virgin looks at the pathetic scene with calm, resigned sorrow. 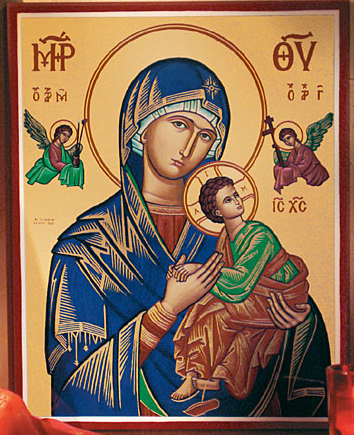 The image of Our Lady of Perpetual Help had long been venerated on the Isle of Crete. The inhabitants of that island, fleeing a Turkish invasion, took it with them to Rome. By the invocation of Mary under the title of Our Lady of Perpetual Help, the ship transporting Her holy image was saved from a terrible storm. On March 27, 1499, the portrait of the Virgin of Perpetual Help was carried in triumph through the streets of Rome. Preceded by the clergy and followed by the people, it was placed over the main altar of St. Matthew’s church, near St. Mary Major. Thanks to the care of the Augustinian friars, the holy image became the object of a very popular devotion which God rewarded for several centuries with many miracles. During the disturbances of the French Revolution (1789-1793), the French troops occupying Rome destroyed St. Matthew’s church. One of the friars serving in that sanctuary had the time to secretly remove the miraculous Madonna. He hid it so well that for sixty years, no one knew what had become of the famous painting. God permitted a concourse of providential circumstances which led to rediscovery of the venerated image. In 1865, in order to return the holy picture to the same spot it had been prayed to before, Pius IX gave orders to have it taken to the Esquiline Hill, in St. Alphonsus Liguori’s church, built on the site of old St. Matthew’s. On April 26, 1866, the Redemptorists solemnly enthroned Our Lady of Perpetual Help in their chapel. From that time on, thanks to the zeal of the sons of Saint Alphonsus and the countless miracles obtained in their pious sanctuary, devotion to Our Lady of Perpetual Help has had an extraordinary development. To acknowledge and perpetuate the remembrances of these precious favors, the Vatican Chapter crowned the holy image in great pomp on June 23, 1867. In 1876, Pope Pius IX erected an Archconfraternity in St. Alphonsus’ church under the title of Our Lady of Perpetual Help. Today the Blessed Virgin is invoked by this name throughout the Western Church. So according to what our Master says, we must apply ourselves not only to listening to the word of God, but also to conforming our lives to it… Listening to the law is a good thing, for it incites us to virtuous actions. We are right when we read and meditate the Scriptures, for that is how we purify our deepest soul of bad thoughts. He even forbade the person with such a disposition to take the holy book into his hands. The person who assiduously reads the Scriptures without putting them into practice is accused by his reading; he deserves all the more serious condemnation because every day he despises and scorns what he hears every day. He is like a dead person, a corpse without a soul. You can blow thousands of trumpets and horns next to the ears of a dead person, he won’t hear them. In the same way, the soul that is dead in sin, the heart which has lost the memory of God, does not hear the sound or the cries of the divine words, and the trumpet and the spiritual word make no impression on him. Thus, God’s disciple must have anchored in his soul the memory of his Master, Jesus Christ, and he must think of him day and night. 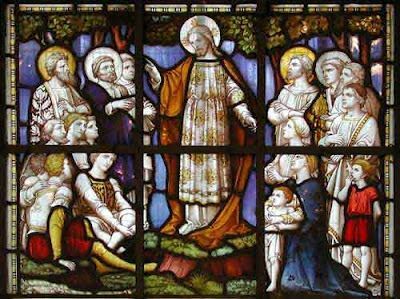 “Jesus said to his disciples: “Not everyone who says to me, ‘Lord, Lord,’ will enter the kingdom of heaven, but only the one who does the will of my Father in heaven. Many will say to me on that day, ‘Lord, Lord, did we not prophesy in your name? The rain fell, the floods came, and the winds blew and buffeted the house. When Jesus finished these words, the crowds were astonished at his teaching,for he taught them as one having authority, and not as their scribes.” -Matthew 7:21-29.